When you’re scooping out your pumpkin for Halloween, wouldn’t it be great if you could do something a bit more useful with the innards? Like put them on your face perhaps? iQ Natural is a US company based in Portland, Oregon. Their focus is on certified organic, plant based ingredients. The company asked me to choose one of their masks to review. In the spirit of all things Autumnal I opted for the pumpkin. Like the Jan Marini Luminate mask which we looked at last week, this is an exfoliating mask to refresh the skin. It’s similar to a peel treatment that you might have had in a salon. The 12% glycolic acid in the Pumpkin Mask removes surface debris and dead skin cells, encouraging new ones to grow. To put that in context – Pixi Glow Tonic, an exfoliating toner designed for daily use, has around 5% glycolic acid. If you were to go for a professional chemical peel then they might use around 30% glycolic solution. So you can see that the pumpkin mask is strong, but not overly so, and can be used a couple of times a week. It’s essential to use sun screen after using an exfoliant like this because the baby-soft, renewed surface of your skin is more vulnerable to sun damage. Hence this is a better treatment to do at night. Pumpkin is a rich source of antioxidants, fruit enzymes and AHAs (alpha hydroxy acids). It’s rich in vitamin C and E and lactic acid. 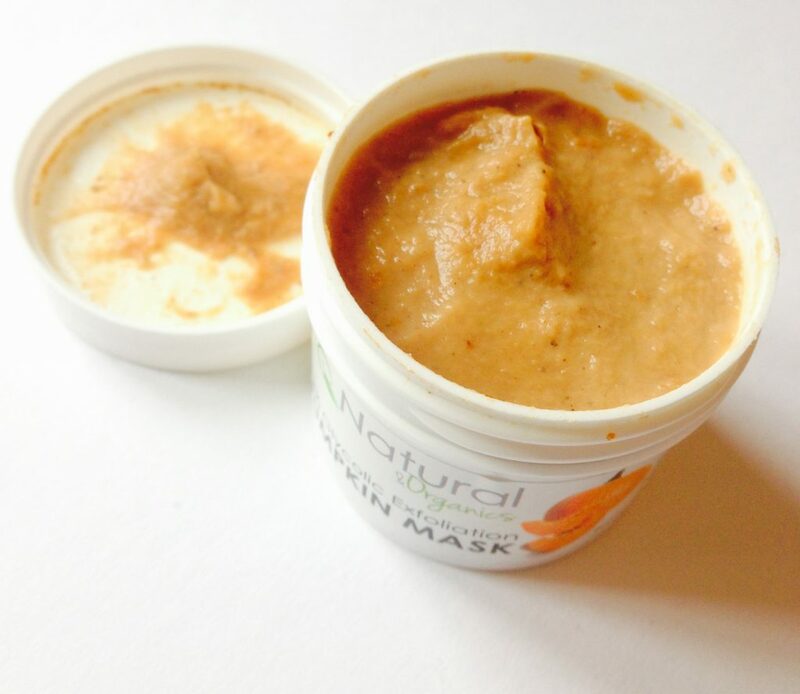 Pumpkin also contains natural fatty acids that regulate oil production in the skin, making it great for oily skin. 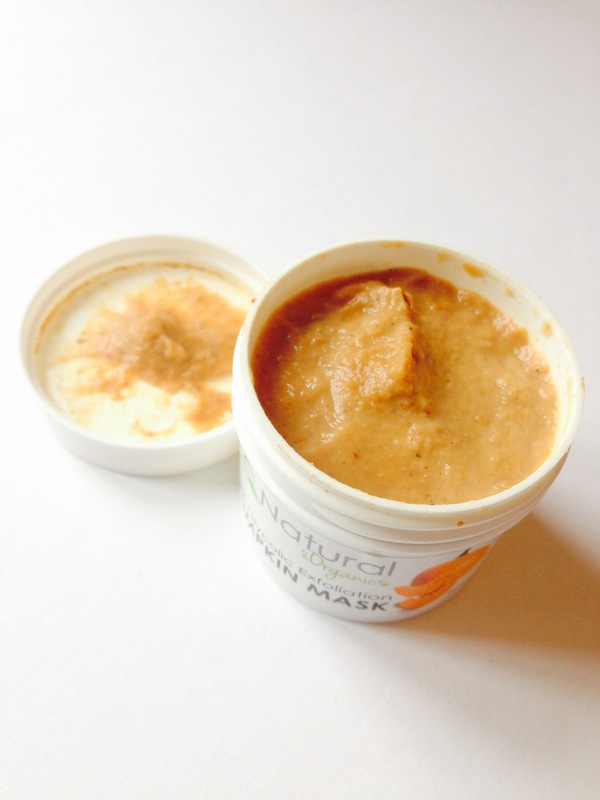 As well as pumpkin, this mask contains cinnamon, ginger, nutmeg, bilberry and sugar maple. It’s a LOT like putting Christmas cake mixture on your face, minus the raisins. There was a definite tingle/stinging sensation when I applied this mask. I think it would be too uncomfortable for some. It went away within the first minute so it wasn’t a huge problem. When I washed the mask off after 15 minutes there was no redness remaining, just smoother skin. If you haven’t done any kind of glycolic peel before, you might want to start off using the pumpkin mask for 5 minutes and building up from there. This is the sort of treatment that every type of skin can benefit from, though I would tread cautiously if you have overly sensitive skin prone to redness. Our skin tends to get less good at renewing itself as we get older, so it needs a little help in that direction. 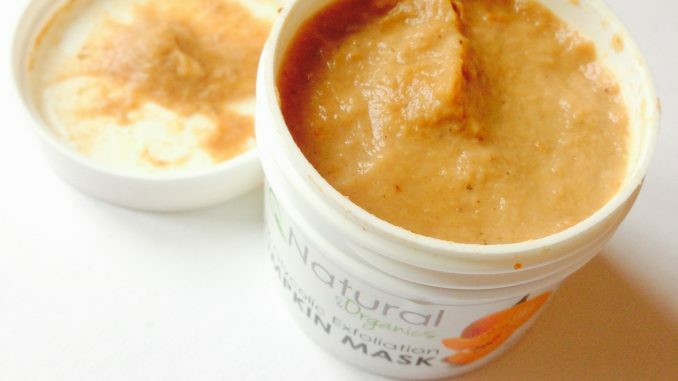 A good exfoliating mask like this one used weekly is a great skincare staple. It’s one of those treatments that you can feel the benefits from straight away. Just remember to always follow with high SPF sun cream, whatever the season. The Pumpkin Mask (RRP $48 or £37 for 4oz/120ml – picture shows 2oz size) is part of a range of skincare from IQ Natural, exclusively available on their site here. International shipping available.